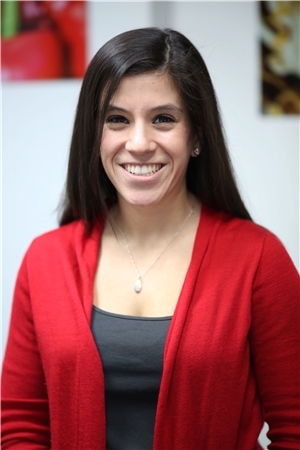 Angela is a Registered Dietitian and New York State Certified Dietitian Nutritionist, who loves helping others find balance in eating and enjoying food. She holds a Master’s Degree in Clinical Nutrition from Tufts University School of Nutrition Science and Policy- where she also completed her dietetic internship. Before joining the Nutrition Energy team, Angela worked in various outpatient clinics at Tufts Medical Center, as well as Joslin Diabetes Center and Massachusetts General Hospital Weight Center in Boston, MA. There she both gained valuable experience and solidified her passion for helping individuals with diabetes, weight loss goals and other nutritional struggles to find balance. Angela has experience working with individuals of all ages and a wide range of nutritional concerns. She is especially well versed in working with clients with Diabetes, (Type 1, Type 2 and gestational diabetes), gastrointestinal disorders, heart disease, high blood pressure, weight gain and weight loss – including emotional eating and pre and post bariatric surgery. Angela works with clients on an individual basis to develop creative nutrition solutions and sustainable healthy habits that fit within their lifestyle. As a true “foodie,” she believes no food groups are off-limits and can fit into a healthy meal plan. She takes time to understand her client’s individual habits and motivate them to implement long-term sustainable changes. Together you will work to achieve your nutrition and health goals. Angela enjoys playing tennis, as well as trying new fitness routines at the gym. She has a true passion for food – Angela loves to cook, experiment in the kitchen and try new restaurants. It is through this love for food, combined with a desire to maintain optimal health and help others, that her passion for nutrition as a career developed. Whether visiting another city at home or traveling abroad, Angela likes to travel and explore new places and local cuisine. On the weekend, you might find Angela running outside, relaxing at the beach or cheering for the New York Yankees. Angela is a native New Yorker; she grew up outside of the City where she enjoys picking seasonal fruit and exercising outdoors.